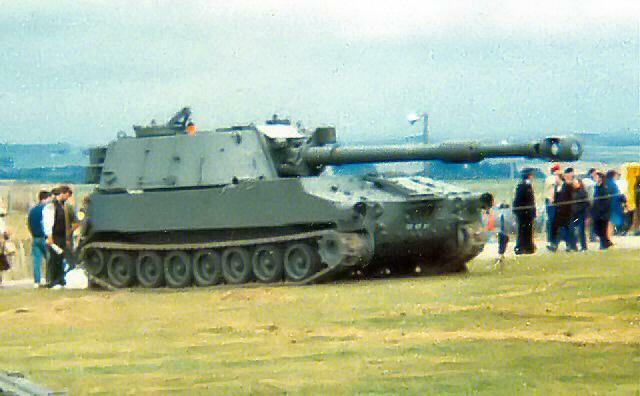 The US short-barelled M109 Self propelled howitzer entered British service in 1965 and was subsequently up-gunned to the long barelled version, M109A1 and later M109A2. 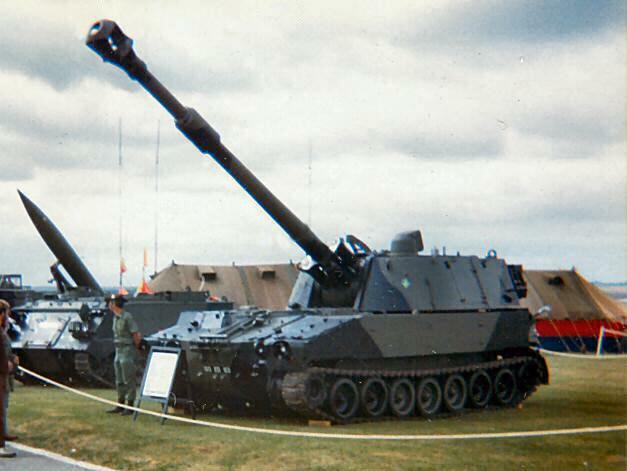 The pictures on this page were taken at Larkhill in 1984. 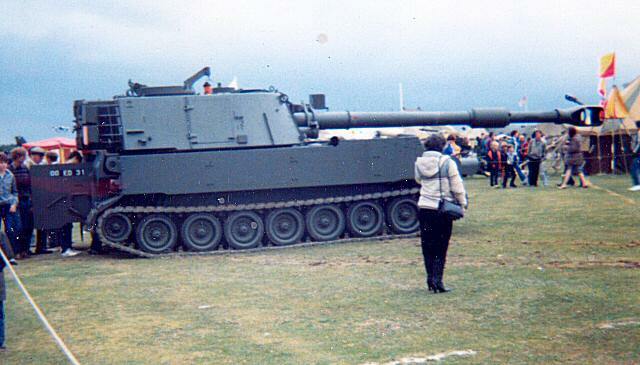 M109 has been replaced by AS90 and the vehicles were all sold to the Austrian Army.